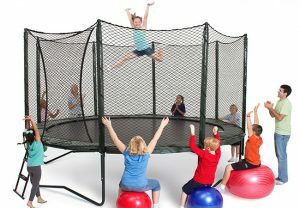 Home»Huge Playground & Patio Furniture Floor Model Closeout Sale In Dallas! It’s out with the old and in with the new at Wooden Swing Co.of Dallas, TX. 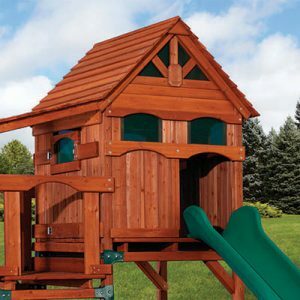 For nearly 40 years, this local playground company has provided a wide selection of high-quality products that can turn your backyard into an awesome play area. In an effort to uphold their reputation for quality and creativity, Wooden Swing Co. is redesigning their products, which means they have to host one of the largest floor model closeout sales in the area. From trampolines and swing sets to patio furniture, there’s sure to be something for everyone and all at a price that you can afford. As a family-owned business, these professionals want to ensure that homeowners have access to some of the best playground equipment in the industry. 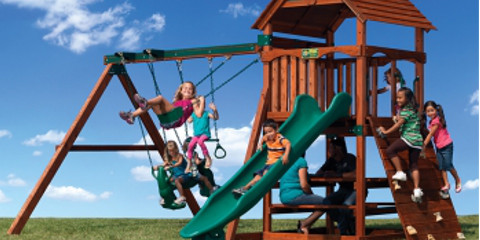 Whether you’re looking for basketball goals, playsets, or swing sets, Wooden Swing Co. is sure to have the products that will keep your family entertained for hours on end. In order to achieve an even higher standard of quality than what they already have, Wooden Swing Co. is completely redesigning their products with nicer wood. They are keeping the same price point that was previously offered, so you won’t have to worry about breaking the bank in order to afford one of their new pieces. 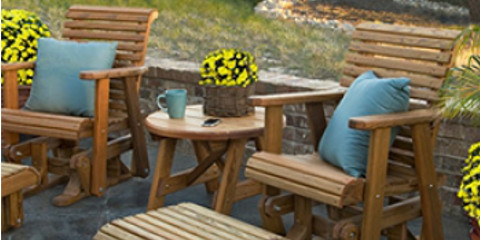 With one of the largest selections of playground equipment and patio furniture in the area, it’s almost guaranteed that you’ll find something for your home during the floor model closeout sale at Wooden Swing Co. Be sure to stop by and take some time to browse through their floor models to get an idea of what they have to offer. If you have questions or concerns about the products, feel free to speak with any of their knowledgeable employees. As experts in playground equipment and patio furniture, they’ll be happy to provide the answers you’re looking for. 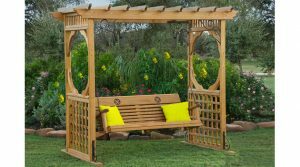 You may call Wooden Swing Co. at (972) 386-6280, or visit their website for more information.